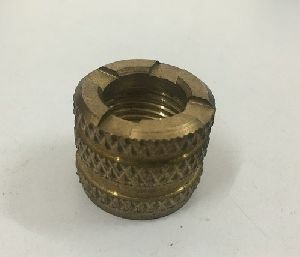 Cross Knurling & Straight Knurling : 1/2", 3/4", 1", 1.1/4", 1.1/2", 2"
Any kind of special Inserts can be developed and supplied exactly as per customer specifications. 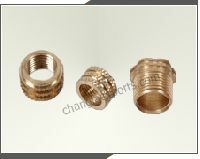 Size : 1/2", 3/4,1", 1.1/4",1.1/2", 2"
Be it any place or time; we make on time deliveries of the goods to the customers. 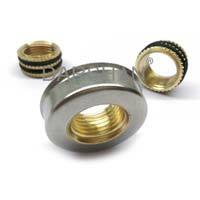 The well-structured warehouse is the reason behind the safety and year around availability of the products we offer. 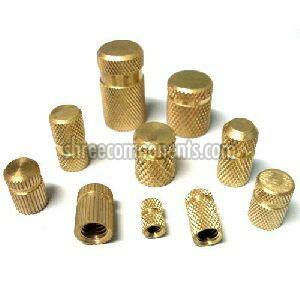 Besides, we have installed modern amenities necessary for the safe storage of the lot. 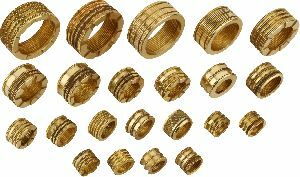 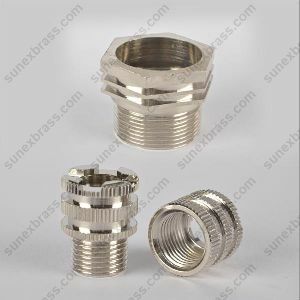 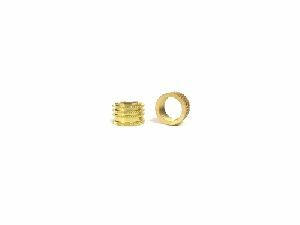 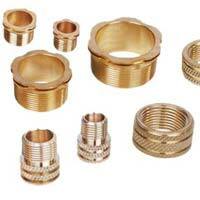 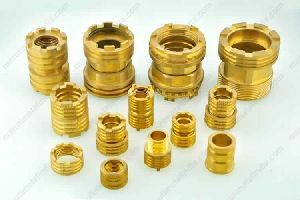 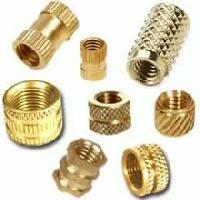 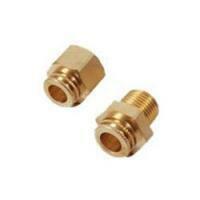 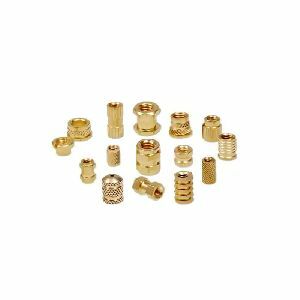 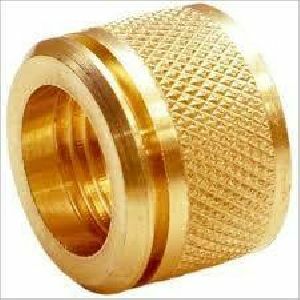 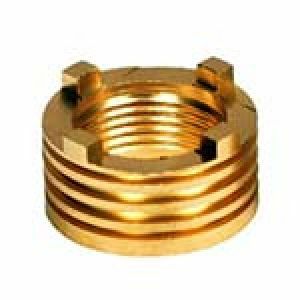 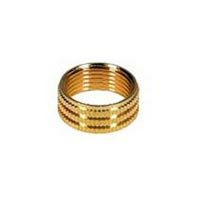 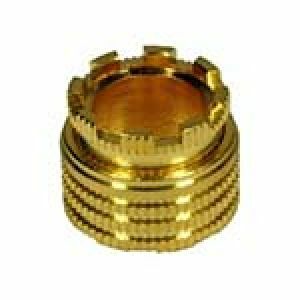 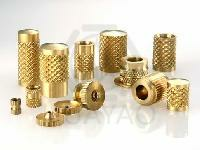 We are one of the reliable Manufacturers, Exporters and Suppliers of wide variety of Brass CPVC Inserts . 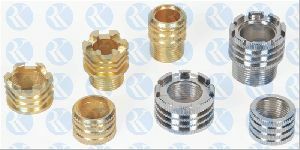 The CPVC Inserts are fabricated as per the set industry standards and are known for their durability, performance, coating and finishing. 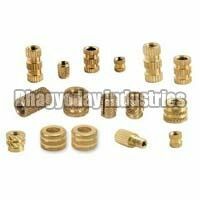 In addition to that, they are packaged in good quality material. 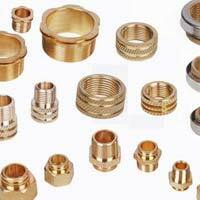 Based in Jamnagar (Gujarat), we make goods available in various parts of the world at the said time. 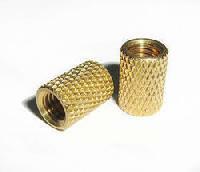 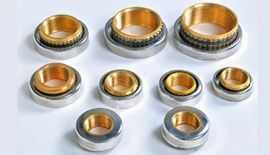 Brass Inserts find major applications in plastic industries, communication equipment industries, and automotive industries. 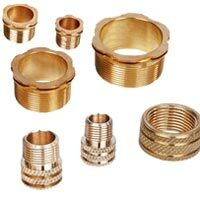 We offer these corrosion resistant Brass Inserts in varying sizes as per the specifications provided by clients. 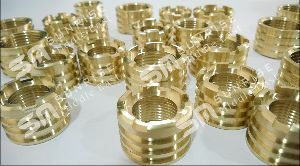 Finish : Available in Brass / Nickel & Chrome Finish. 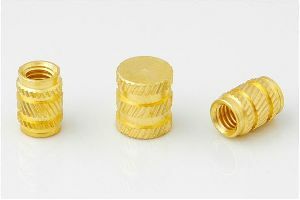 Thread : BSP & BSPT (Parallel & Taper Threads). 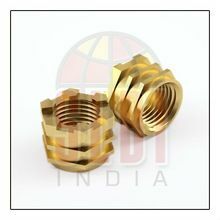 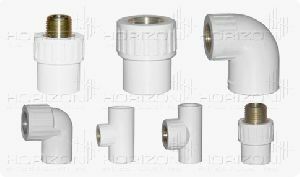 Description : Designed & developed as per customer's requirement. 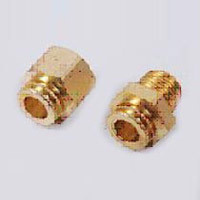 SIZES : ½”, ¾”, 1”, 1.1/4”, 1.1/2”, 2”. 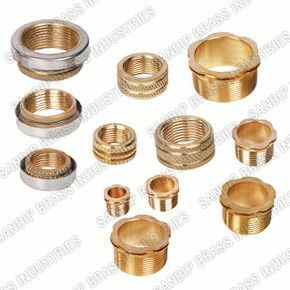 Finish : Offered range of brass inserts is available in multiple buff, nickel, chrome and washing platings.